A. 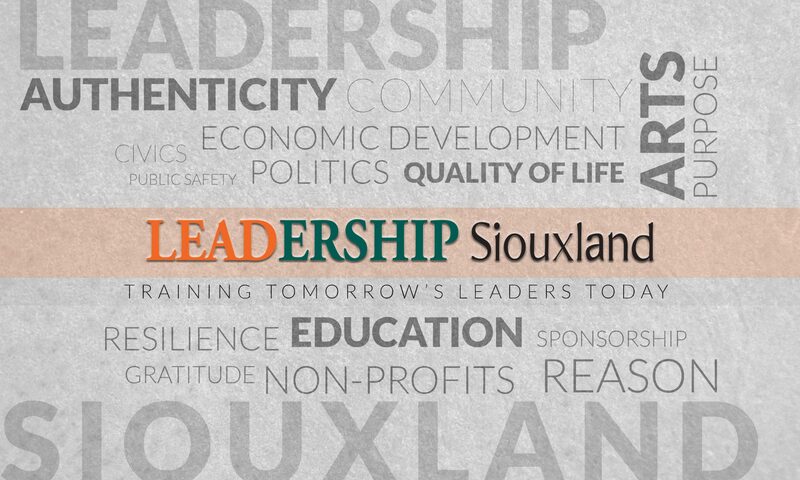 Leadership Siouxland is a community leadership training program. The goals of the program are to motivate individuals to develop a sense of community trusteeship, to encourage participants to assume leadership roles in community affairs, to develop participant awareness of the Siouxland community, to provide opportunities for communication between emerging and established leadership, and to explore various aspects of leadership. Leadership Siouxland educates, challenges and inspires its participants to bring out their inherent quality to “point the way.” The ultimate goal is to instill passion in our current and emerging leaders while fostering a high level of civic engagement. Q. What can Leadership Siouxland offer to me? A. This leadership program equips leaders to better appreciate and understand the conditions of the entire Siouxland area. Those selected for the program build a “network” with fellow participants that reaches across geographic, professional and economic lines. This network continues to be a part of their lives well beyond the program year. Q. Who sponsors Leadership Siouxland? A. The tuition paid by the corporations and organizations that send students to Leadership Siouxland provides the funding for the program. Q. How do I get into Leadership Siouxland? A. Participants are selected for the program each year in late summer. Selection is based on an individual’s contribution to a total group profile of the community-at-large. Applications are available online or by contacting the Executive Director at 712-898-8594 or by e-mail at info@leadershipsiouxland.org. Q. If I don’t get into the program the first time, can I reapply? A. Absolutely! Every year more people submit applications than can be accepted into the program. Individuals who are not accepted the first time are strongly encouraged to reapply. Q. What kind of time commitment is Leadership Siouxland? A. Leadership Siouxland runs nine months, from the mandatory retreat in September to the closing graduation in May. Monthly meetings are held on Thursday evenings. Q. Who is eligible for Leadership Siouxland? A. Individuals who have expressed a desire to contribute both time and energy toward serving the community, who have demonstrated prior volunteer involvement and leadership and who have demonstrated an interest in and understanding of the Siouxland community. A. Cost for the program is $675. Limited scholarship assistance is available. Q. Who do I contact for more information about Leadership Siouxland? A. Contact the Executive Director at 712-898-8594 or by e-mail.